Cynical reporter Alessandra Russo heads to the UN hoping for a piece of the action, but soon becomes entangled in controversy and suspicion when ben Yusef singles her out for attention among all other reporters. As Alessandra begins digging into ben Yusef’s past, she is already in more danger than she knows and when she is falsely accused of murder during her investigation, she is forced to flee New York. On the run from unknown enemies, Alessandra finds herself on the trail of a global conspiracy and a story that could shake the world to its foundations. Is Demiel ben Yusef the Second Coming or the Antichrist? It's a riveting, fast-paced tale that had my heart pounding on more than one occasion. That said, I was more interested in Ms. Stasi's real-world discoveries and how they affected her outlook on life. The best debut thriller of the year hands-down takes us into the heart of a mammoth global conspiracy through the eyes of intrepid reporter Alexandra Russo. Stasi, a reporter herself, has crafted an expertly researched and wondrously conceived tale that delivers at every level, propelling her right out of the box to a Ludlum-esque level and making her heir to the throne once occupied by the great Helen MacInnes. Linda Stasi crafts a tale combining Islam, Christianity, and National Security. 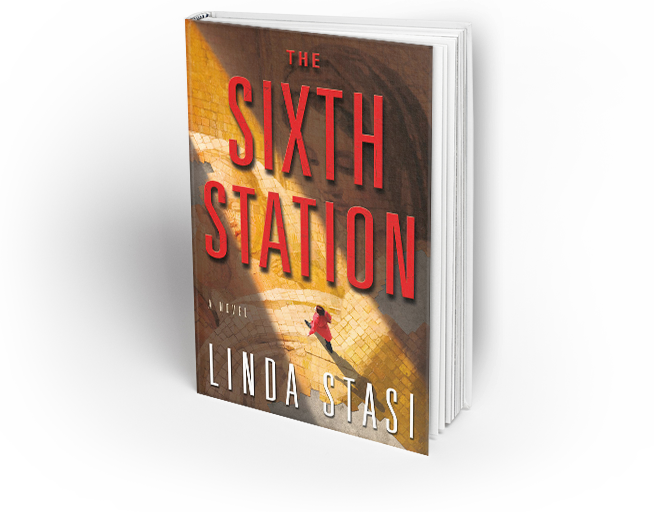 If you like controversy with your suspense, The Sixth Station is for you.